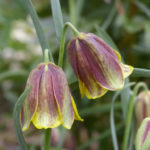 Fritillaria pyrenaica is a bulbous perennial up to 18 inches (45 cm) tall, with narrow glaucous leaves scattered up the stem. The pendent, bell-shaped flowers are borne in spring. They have recurved tepals which are purple tinged with brown and yellow. 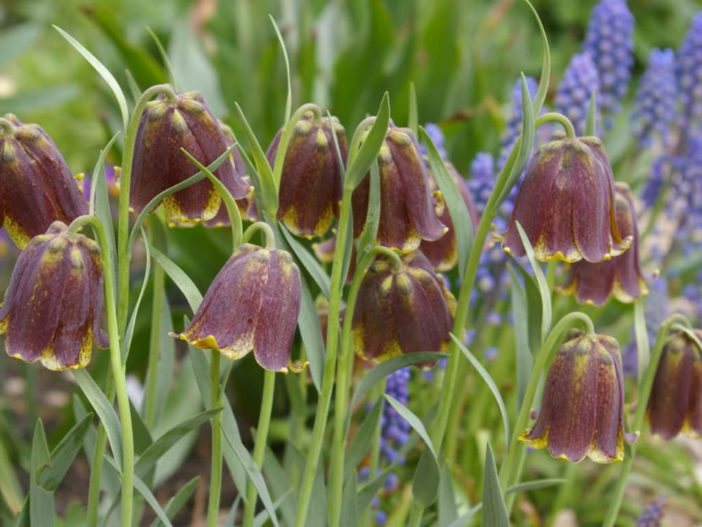 Unusual and hardy, Fritillaria bulbs produce best when planted in moist soil in a sunny to part shade location in the flower bed. 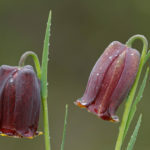 Wildflower Fritillaria lilies are an excellent choice for the gardener who wants an out of the ordinary specimen among more common spring-blooming bulbs. 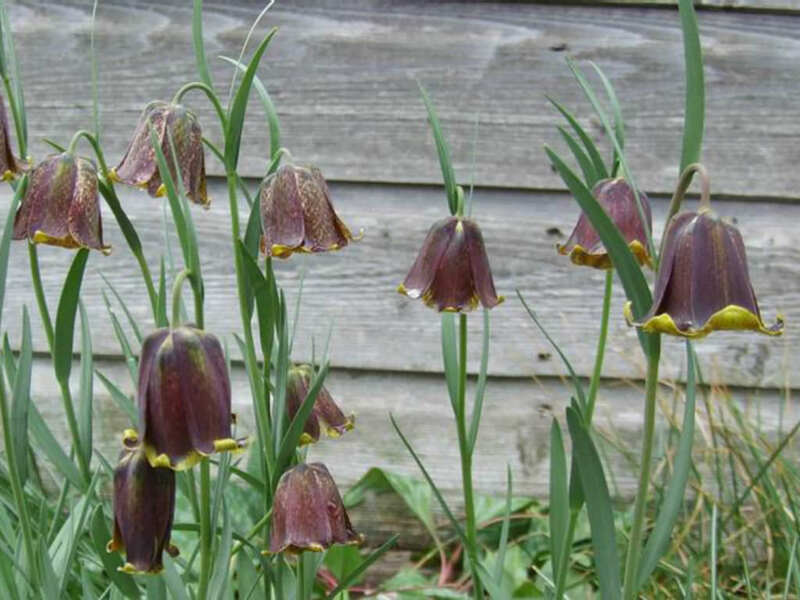 Growing Fritillaria may reach 4 feet (1.2 m) or more in spring. 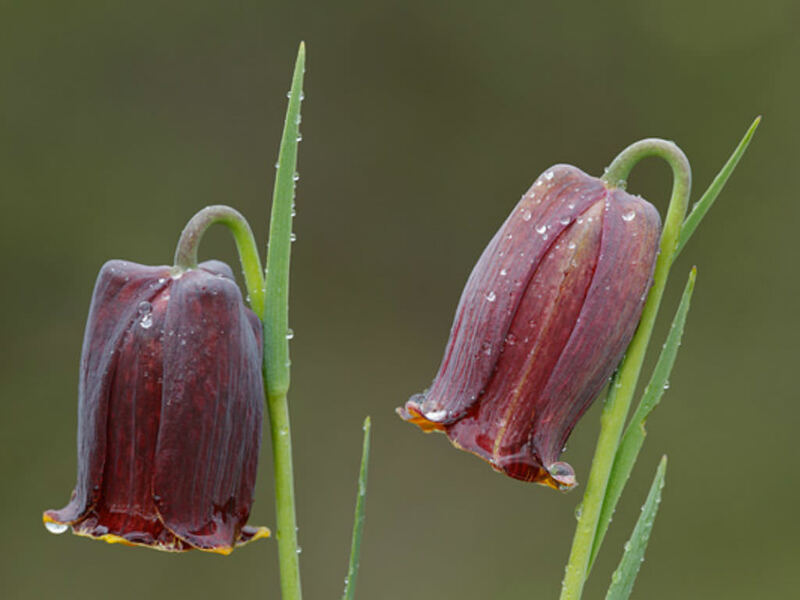 Use wildflower Fritillarias as specimens, in groupings or as an addition to a traditional bulb bed. Be prepared to plant bulbs as soon as they arrive. 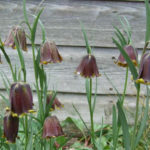 Plant larger bulbs with the base about 5 inches (12.5 cm) below the soil surface, while smaller Fritillaria bulbs should be planted about 3 inches (7.5 cm) down. Plant bulbs in well-drained soil and keep it moist until the root system is established. 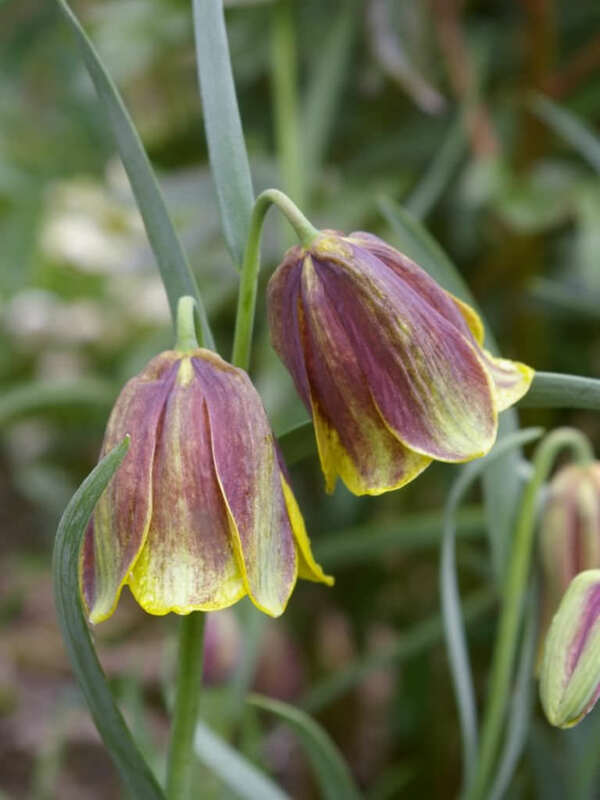 Fritillaria bulbs resist deer, squirrels and bulb digging rodents and may help protect other bulbs that are favorites of the critters… – See more at: How to Grow and Care for Fritillaria Bulbs. Native to the Pyrenees in Spain and France.